This seminar series highlighted the key principles, design opportunities and common oversights when applying the AS 1668 series of Standards. Each of these Standards form the bread and butter of the HVAC&R industry, but we are regularly asked to provide training and education on these standards. In this new overview seminar series, we will look at some of the main areas industry has told us that they need more support with and outline some of the content under development for our new Ventilation sessions. Do you know the difference between introduced outdoor air and effective outdoor air and how much of each is necessary? Do you really know how to design filtration to reduce outdoor air to 7.5 L/s/person? Are you still over-designing car park ventilation? Can you identify opportunities available in the latest National Construction Code (NCC) and Standards to simplify your design? How do you use jet fans for car parks, as DTS, without any fire engineering? Is your kitchen hood exhaust compliant? Does this room need ventilation? Make-up air. Where can it and where can’t it come from? Where are fire dampers required and when do they need insulation? Which penetrations need smoke dampers? Fire Dampers, Smoke Dampers and Air Dampers: what’s the difference? Stair pressurisation: how many doors do you really need to measure? Natural ventilation: 5% vs AS 1668.4. Brett is a member of Standards Australia’s ME-062 subcommittees responsible for Standards on fire and smoke control, mechanical ventilation in buildings and natural ventilation of buildings. He has represented local engineering practices since the 1990s and now runs a mechanical services consultancy to support other practitioners throughout the industry. Promoting the Use of Solar Cooling and Heating (PUSCH) in Australian buildings is an ongoing effort supported by the Australian Renewable Energy Agency (ARENA) to help improve the market uptake of these technologies. As a part of this project, an industry roadmap is under development. This roadmap has identified few potential barriers and opportunities for improving the market uptake of solar heating and cooling technologies. These seminars form part of the Asia Pacific Solar Research Conference, and provide an opportunity to look at some of the global initiatives that could be adapted to Australian market conditions. Activities coordinated through the International Energy Agency Solar Heating and Cooling Program (IEA SHC) will be discussed. Although solar thermal is already very well developed and has a high market penetration, costs are always an issue when it comes to deciding which heating system to use. IEA SHC Task 54 aims at a cost reduction for end-users of installed solar thermal systems by evaluating and developing sustainable means to reduce production and/or installation costs on material, sub-component, system-component and system level. Special emphasis is placed on the identification and reduction of post-production cost drivers, e.g., channels of distribution. Extensive market research, including defining reference systems, cost analyses, and the study of socio-political boundary conditions for solar thermal prices in selected regions will provide the basis for the evaluation of cost-structures and the cost-reduction potential. The main activities and achievements will be presented. For quite some time now district heating has been widely used in many European and Asian countries. Traditionally these systems use fossil fuels, but in many places these have replaced by renewable energy: solar, biomass and heat pumps (on renewable electricity). Some rather large solar district heating systems have been installed in Northern Europe. The biggest to date is 157, 000 m² (110MW). A project with almost 500,000 m² (350MW) is being prepared. And because it is now possible to store the heat from summer in underground storages to use in winter, solar fractions of more than 50 per cent are now possible. The principles for these solar/renewable systems will be demonstrated and some examples shown – including a solar district cooling system. The ongoing activities in the international group IEA SHC Task 55 will be presented. Heating and cooling systems account for over 40 per cent of commercial building energy usage in Australia with significant impact on building star rating. Solar energy can reduce building energy consumption, and solar resource availability has a natural fit with the cooling needs of a building. There are many ways to take advantage of solar. However, introducing solar creates additional design considerations and requires greater integration of building services and architectural design disciplines. A holistic approach during design stage will result in easy adaption of energy efficient technologies in buildings. In this seminar, participants will gain an understanding of available solar cooling and heating solutions for integration with commercial and residential buildings. The seminar will provide guidelines for incorporating sustainable heating and cooling solutions while designing a building envelope. 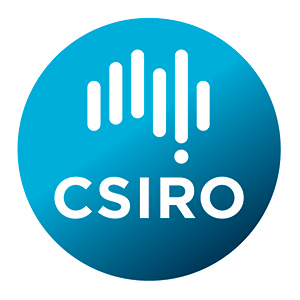 Real world examples from CSIRO installations from Australia and global installations from International Energy Agency task 53 (IEA) will be discussed during the seminar. Include sustainable heating and cooling solution options in the conceptual design stage of a building. Dr Stephen White, F.AIRAH, is a world authority in solar air conditioning and a member of the ARBS “Hall of Fame”. Stephen is domain leader in CSIRO’s Grids and energy efficiency program. AIRAH and Standards Australia presented a seminar series in February and March on the recently adopted and published refrigeration safety and environmental standards; AS/NZS/ISO 817:2016 Refrigerants – Designation and safety classification which replaces AS/NZS 1677.1:1998 and AS/NZS 5149 Refrigerating systems and heat pumps – Safety and environmental requirements: Parts 1 to 4, which replaces AS/NZS 1677.2:1998. Each of these new adoptions have had major modifications and revisions over the previous AS/NZS1677 series and are critical as we move to low global warming potential refrigerants. AIRAH will be holding the update seminars throughout Australia in February and March 2017 to provide an introduction and overview to the main changes that will affect the HVAC&R industry. AS/NZS 5149.4:2016 Part 4 Operation, maintenance, repair and recovery. Engagement and participation with standards development.